The market evolves and the offer of products follows, keeping abreast of the new demands. The increasingly popular constructions with big blocks call for the use of machines that can cut them. This is why SeaTable 1000 was created: cutting height going over one is 40 cm and 60 cm going over twice, 10 HP threephase motor for an easy and immediate approach to the construction sites many necessities. 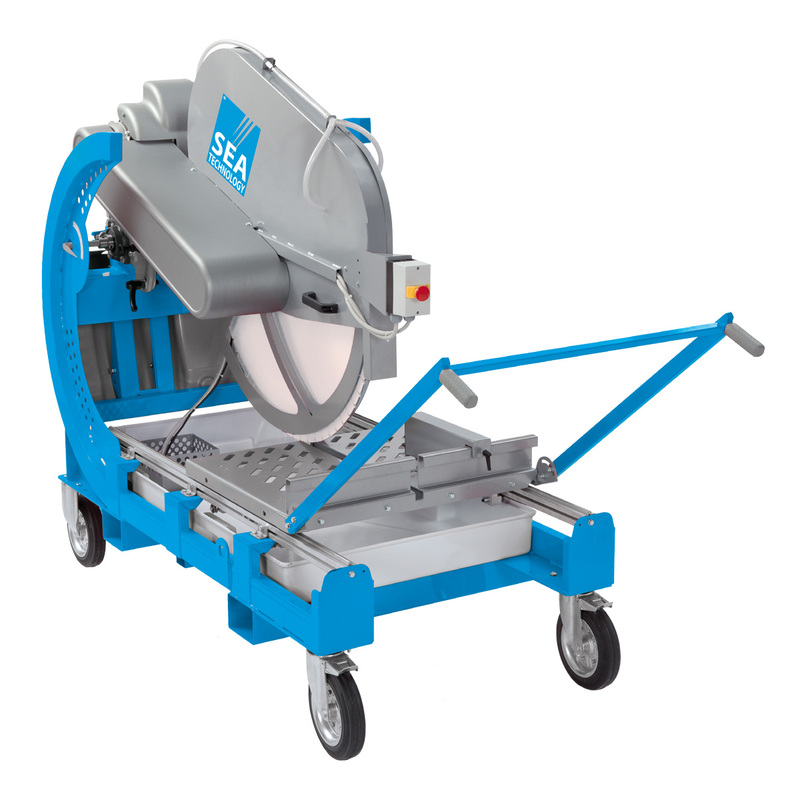 The machine is supplied with the Cantiere Tre blade produced with the “Detenso” technique.